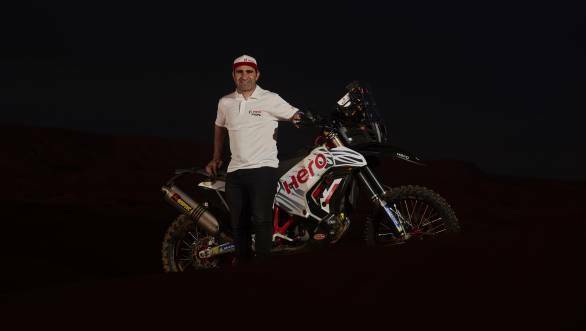 Hero MotoSports Team Rally has announced the addition of a fourth member to their rider lineup - Paulo "Speedy" Goncalves. The Portuguese rider is one of the most accomplished rally riders in the world, having won the 2013 FIM Cross Country Rally World Championship. He also finished second in the 2015 edition of the Dakar Rally. The team has confirmed that Paulo will compete alongside CS Santosh, Joaquim "JRod" Rodrigues, and Oriol Mena. He is slated to make his debut for the team at the Silkway Rally, that takes place between Russia, Mongolia, and China, this July. Hero MotoSports Team Rally was formed in 2016, and had their maiden outing at the Dakar in 2017. Since then, the team has already managed two top-10 finishes at the event. Most recently, Oriol Mena put the team on the podium at the 2019 Merzouga Rally, while teammate JRod finished fourth. 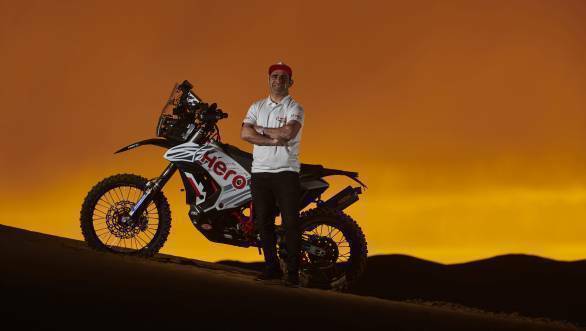 Speaking of the latest addition to the team, Dr Markus Braunsperger, CTO, Hero MotoCorp, and head, Hero MotoSports, said, "First of all, let me extend a very warm welcome to Paulo Goncalves to the Hero MotoSports family and also to the larger Hero family. In a short span of three years, the team has delivered some impressive results, and now with Paulo's wealth of experience, there are no doubts that we will be able to lift our performance in every aspect of the rally sport. Paulo's move also provides acknowledgment to the fact that we have been able to establish ourselves as a sought-after team for the top talent in the sport." Meanwhile, Wolfgang Fischer, head of Hero MotoSports Team Rally said, "We are very motivated by the entry of Paulo Goncalves into our young set-up. To attract one of the most decorated and respected top rally athletes is a big boost for our Team and an endorsement that we are being looked upon as one of the top teams in rally sport. His experience of numerous race victories and Dakar participation into our line-up will enable us to achieve the next level of competitiveness. We extend Paulo a very warm welcome and wish him a successful stint with Hero MotoSports Team Rally." Goncalves himself spoke of hoping to contribute to the team, and help improve their performance in rally sport. "From my side, I promise to give my everything to be ready and fit to be able to fight for the top positions for my team. Hero MotoSports has been doing a really good job in the last couple of seasons and this young team has shown, that it has the potential to win big. I would like to play my part in bringing these wins to the team. With lots of passion and emotions, my thanks again to the team and I am excited to begin," he said.